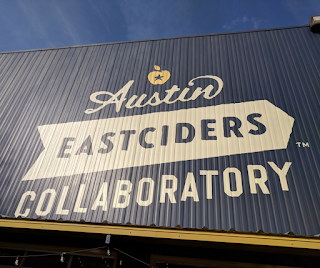 East Austin is famous for keeping things local, which is obvious from the plethora of local breweries that call the area home. Read on to find out where you can get an ice cold pint on the eastside! Blue Owl Brewing is on East Cesar Chavez and specializes in sour beers. Even if you aren't sure about sour beers, their expert staff will help you pick a flight to make your taste buds smile! Prefer a cider? 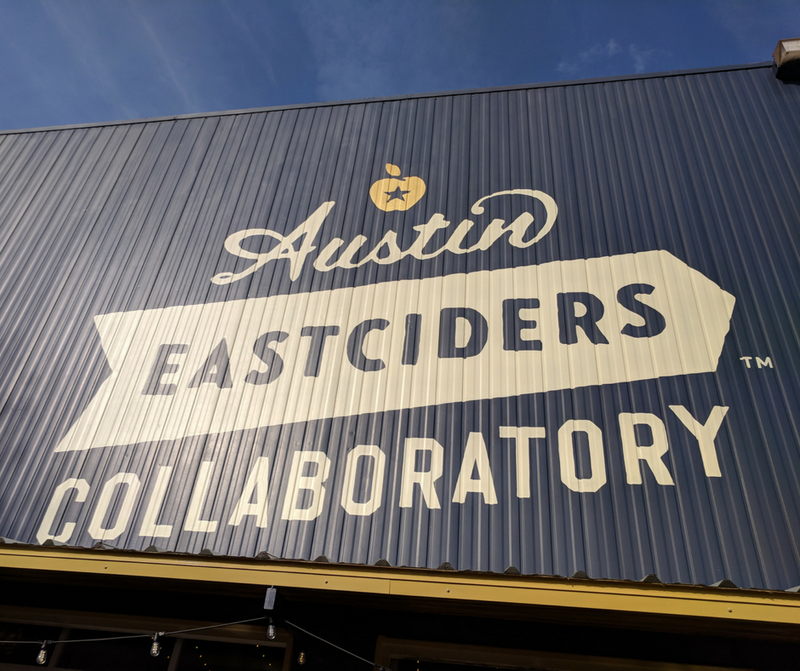 Austin Eastciders’ Collaboratory is the tap room for Austin Eastciders, located on Springdale Road. This is the perfect place to sample one of their well-balanced hard ciders. Got friends who demand beer? Friends and Allies Brewing is conveniently located next door where they serve up their brews that combine West Coast brewing techniques with east Austin culture. East Sixth Street has a whole slew of breweries, so you’re sure to find something that will wet your whistle! Visit Zilker Brewing Company for a wide-range of accessible brews. They even have a “Parks & Rec” beer with a portion of the sales going to the Austin Parks Foundation. Looking for food AND beer? 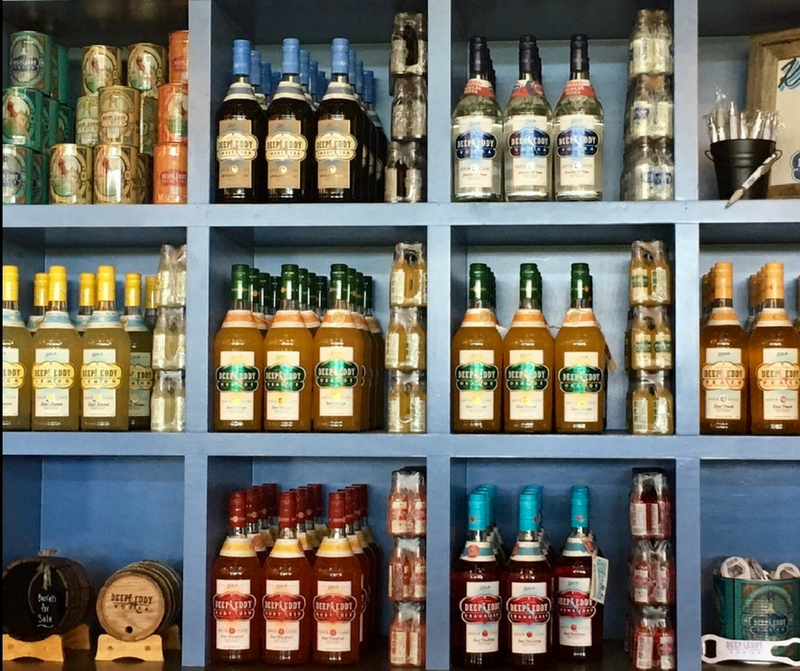 Lazarus Brewing Company serves craft beers that can only be purchased on the premises, as well as homemade root beer, kombucha, espresso, and street tacos. Don’t miss the beautiful stained glass over the large patio that’s perfect for whiling away the afternoon. Hops and Grain Brewing has been on East Sixth for longer than pretty much any other East Austin brewery, and specializes on brewing craft beers sustainably. They also believe in giving back to the community and donate money and volunteer time to several Austin nonprofits. If you're looking for an apartment in East Austin or anywhere in town (or beyond), Apartment Specialists South Austin can help! Give us a call today at 512-200-7535! 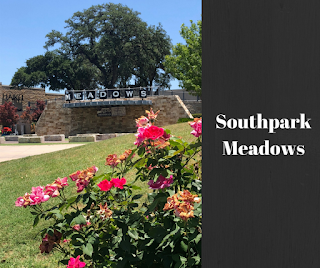 Southpark Meadows is clustered around the Southpark Meadows Shopping Center near IH-35 and Slaughter Lane. Southpark Meadows has over 100 restaurants and shops. It surrounds “The Grove”, a collection of Oak Trees with a playground, splash park, and regular live music. Restaurants include Waterloo Ice House a locally owned choice for a delicious burger and a beer. Dine al fresco on their patio adjacent to the playground, or in their huge dining room. A juicy bacon cheeseburger with their hand cut french fries or tator tots and an ice cold Shiner on draft is the perfect way to unwind after shopping till you drop. Looking to grab a drink with friends after work or on the weekend? Little Woodrow’s boasts over 100 seasonal and classic beers, including drafts, plus dogs are welcome on their patio. They have great happy hours and daily specials to make an evening out a little easier on your pocket book. Amy's Ice Creams brings out the kid in everyone. Their ice cream artists keep you entertained with flying scoops while mixing up a a custom chilled concoction. If it’s entertainment you’re after, Cinemark Southpark Meadows shows first run movies with stadium seating. You can even enjoy a drink with your flick! Of course there’s tons of shopping at Southpark Meadows too! Snag a deal at Marshalls or Ross Dress for Less, or get something beautiful for a loved one (or yourself!) at Kay Jewelers or James Avery Craftsman. Plus, you’ll never have to go far for the essentials, with Target, Walmart, and Sam’s Club all in the sprawling shopping center. Looking to call Southpark Meadows or any other area in Austin home? 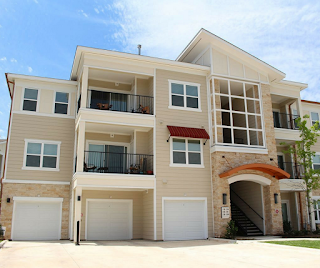 Give Austin Apartment Specialists South Austin a call today at 512-200-7535 to find your dream apartment in no time! Cedar Park is a suburb 20 miles Northwest of Austin, Texas. It is popular with people who want proximity to Austin, affordable housing, and well-rated schools. It was recently named the 37th safest city in Texas. Cedar Park students go to schools in the highly rated Leander School District. Children in grades 9-12 attend Cedar Park High School or Vista Ridge High School. Cedar Park High’s mascot is the Timberwolves and Vista Ridge’s is the Rangers. Residents in grades six through eight attend Cedar Park Middle School, Henry Middle School, or Running Brushy Middle School. Children in Kindergarten through fifth grade are sent to one of eight elementary schools: Cypress, Naumann, Cox, Faubion, Knowles, Westside, Deer Creek, or Reagan. Cedar Park’s convenient location between Austin and Round Rock makes it an easy commute to many employers. The area is less than three miles from Lakeline Mall, which has employment available in retail outlets, restaurants and movie theaters. Daichi Sushi and Grill is beloved by regulars for the great tasting, fresh sushi at affordable prices. They also have an extensive sake and beer selection. The restaurant is small, so you may have to wait a few minutes for a table, but it’s worth it! CR Surf and Turf Seafood and Steak serves up well-seasoned steak and seafood that keeps them coming back. The calamari gets especially high marks for being “out of this world” tasty, and the special house seafood sauce has a special place in patrons’ hearts. The Dig Pub is a great local bar that proves you don’t have to leave Cedar Park to get a pint. They have an extensive beer and wine selection, food, plus games like darts and foosball. Ample indoor and outdoor seating means you’ll be comfortable here no matter the weather. For entertainment, The HEB Center at Cedar Park is a huge, state of the art sports and entertainment complex. The Austin Toros play basketball there and the Texas Stars play Hockey. It also hosts many popular touring musical acts. 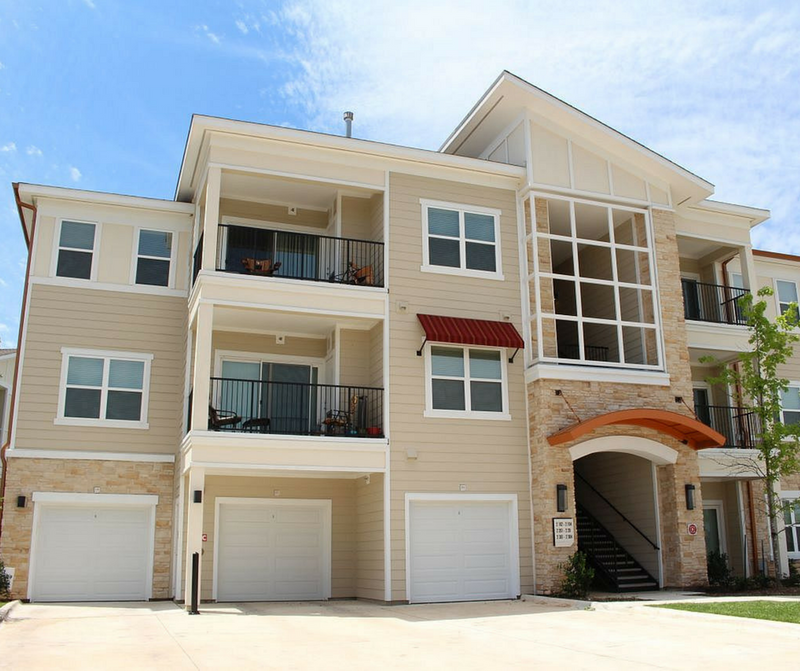 If you're looking for an apartment in Cedar Park or anywhere in Austin or the surrounding areas, Austin Apartment Specialists can help! Give us a call at 512-200-7535 to start your free apartment search today!